Our flat back foam crown molding is designed for easy installation. No need for hammers, nail, screws, stud finders or expensive miter saws. We have a variety of styles, heights and sell in different lengths. Paint it any color you wish (be sure to use paint with primer). Browse through to find the look you love! 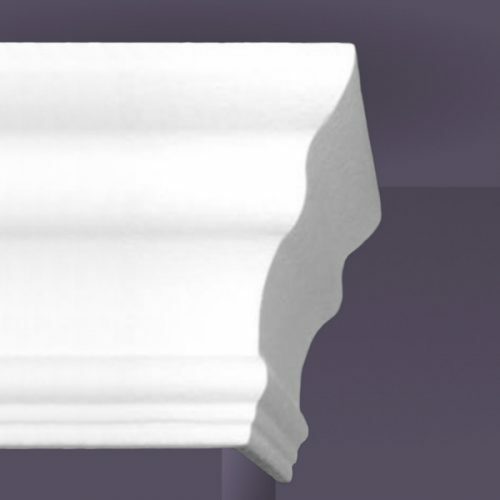 Our Style One flat back foam crown molding is simple and elegant. We carry three different height sizes for your needs: 3 1/2″, 4 1/2″, and 6″.